What makes Pello the Ultimate Kids Bike? A lightweight bike allows kids to maneuver the bike easier, it takes less effort to move or control the bike. Easier to lift when approaching an obstacle. Easy to pick up and put on the bike rack. Easier for mom and dad to carry when the little ones don't want to ride home from the park. Easy & predictable turning. Our bikes have a long wheelbase that means the bike will have a longer turning radius allowing children to take corners slow and wide. Easy to balance. Low center of gravity makes the bike is easier to balance and control. Pello bikes have a low bottom bracket height that moves the weight closer to the ground, (the Bottom Bracket is the "virtual" center of the bike where all the frame tubes come together and where the pedals attached to the frame). Legs fit. Little hips and legs will fit properly on each Pello Bike. Each bike has it's own crank design that includes different crank arm lengths to match the size rider for that bike. The "Q-Factor" or width between the pedals is as small as we can get it (no bow-legged riding). Easy to maneuver. Our handlebars aren't too wide. Each Pello bike comes with it's own handlebar width depending on the model. Easy to brake. Brake levers are designed to be close to the grip so little fingers can reach them and they are easy to pull and operate. Roll's easily. Our wheels are light and durable and our hubs are ball bearing smooth. Feet feel confidant. Our pedals are wide enough to accommodate a foot that "moves around" (we found that kids learning to ride often move their feet all over the pedal, our pedal offers room to accommodate that movement while keeping the foot on the pedal). Comfortable to ride. Our saddle (or seat) is designed to fit little bottoms. Big saddles are cumbersome for leg movement while riding and are no more comfortable than a saddle that fits properly. Adjustability. 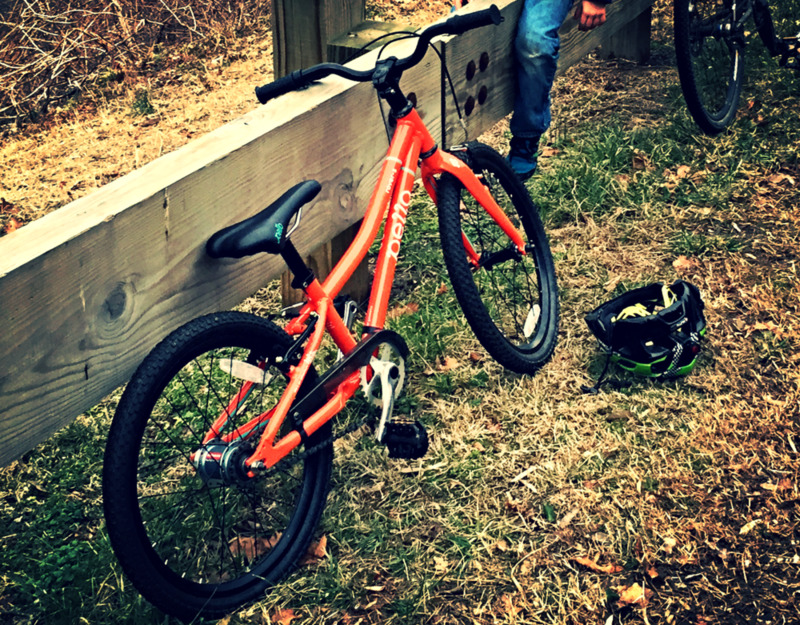 All of our bikes are fully adjustable to provide a custom fit for your child. Things you can adjust; Saddle height, Saddle position fore-and-aft, handlebar height, handlebar position fore-and-aft. Will last for generations: Our frames are built with 6061 grade Aluminum that is as durable as it is lightweight. All of our bikes are backed by a lifetime manufacture defect warranty on the frame and fork, 2 years on parts, that applies to the original purchaser. Since all of our components are the same you might find in a quality bike shop they have not only been through our testing but are name brands that have stood the test of time. Brands we use are: Cane Creek Headset, SRAM Shifters, Tektro Brakes, VP Pedals & BB, KMC Chains, Kenda Tires, Alex Rims, Cionlli Saddles. 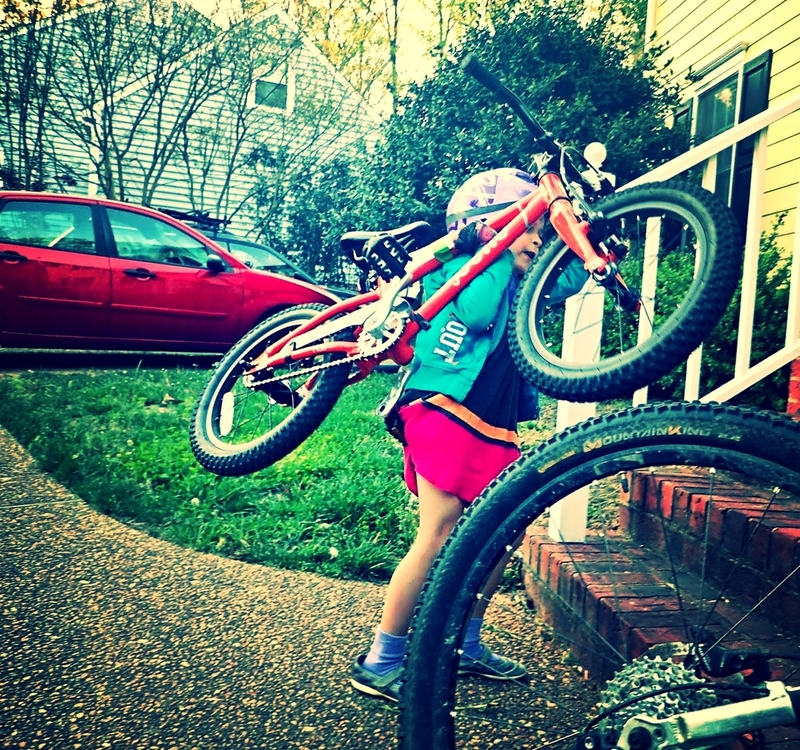 Fit and Checked: We will take your child's measurements and adjust their bike to fit right before we ship it. Every bike is inspected and checked for quality and safety.